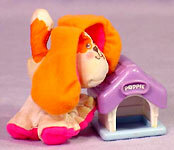 Pound Puppies went off the market from 1989 until 1996, when Galoob took over and re-launched the Puppies, this time as miniature plush. 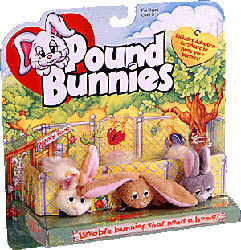 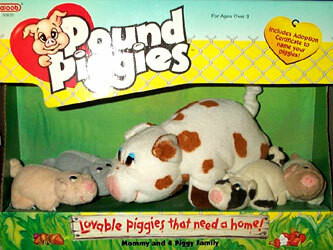 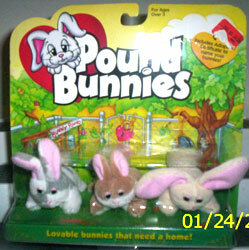 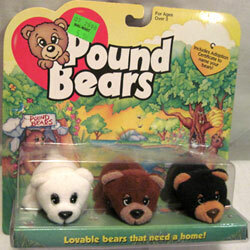 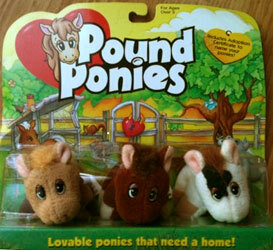 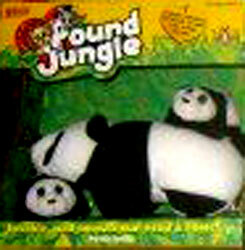 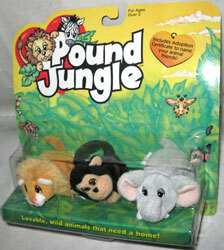 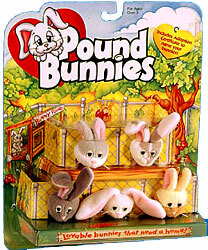 They also introduced many other plush animals lines such as Pound Ponies, Pound Jungle and Pound Ocean, but the most prolific addition to the line was the many miniature playsets they produced for little figures to play in. 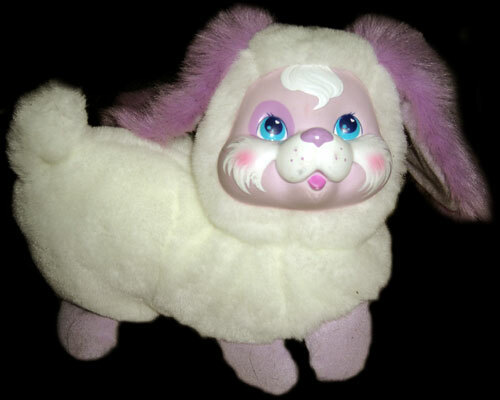 Images on this page thanks to pikapal, Galoob publicity and various eBay sellers! 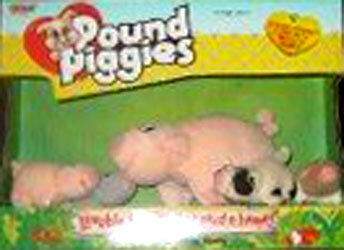 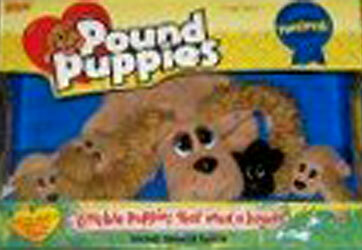 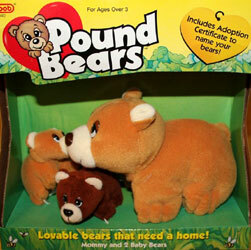 "Welcome to the wonderful world of lovable, huggable Pound Puppies and Pound Pur-r-ries. 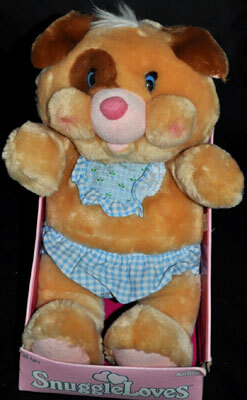 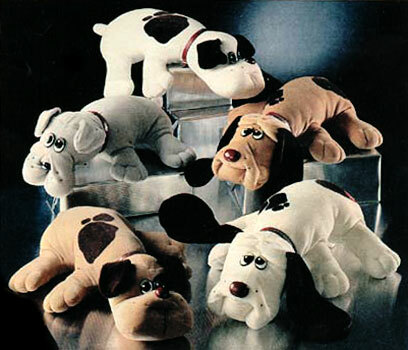 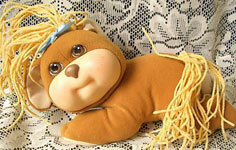 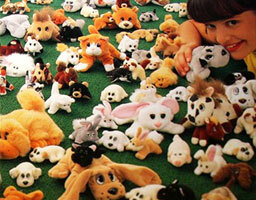 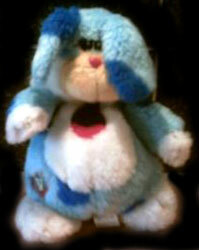 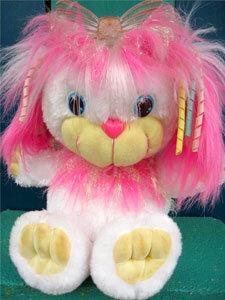 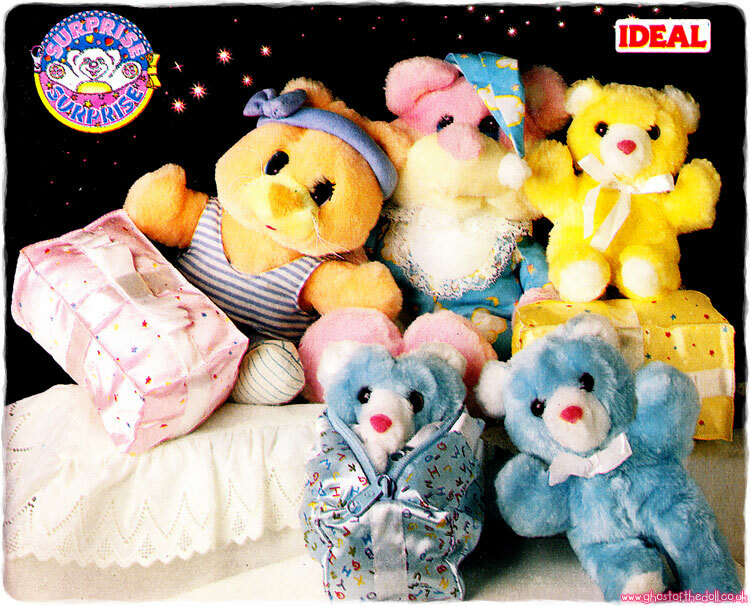 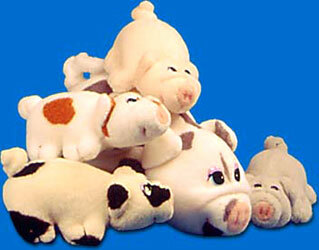 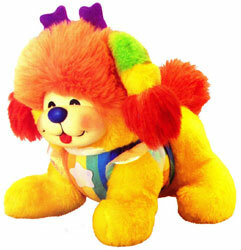 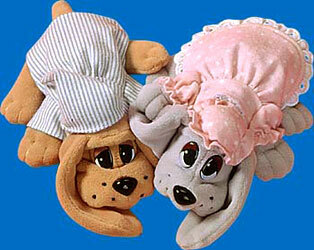 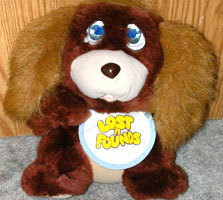 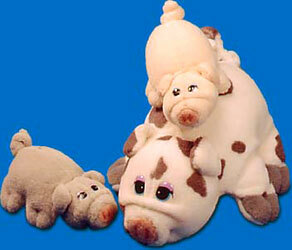 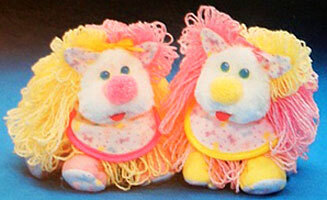 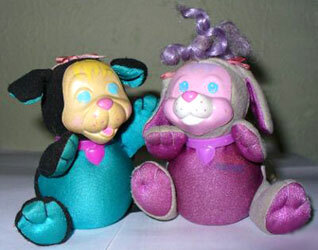 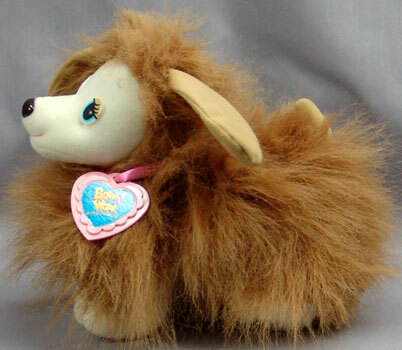 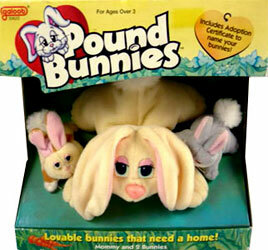 These soft, cuddly puppies and kitties were a smash hit toy sensation in the 1980s. 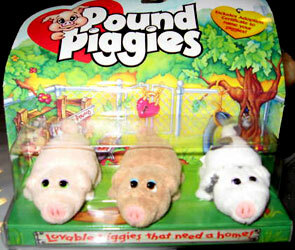 Now Galoob is proud to reintroduce these adorable pets in a smaller, cuter size. 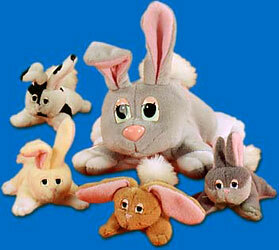 There are long-eared and short-eared pups and kittens in lots of colors...some with spots and some without. 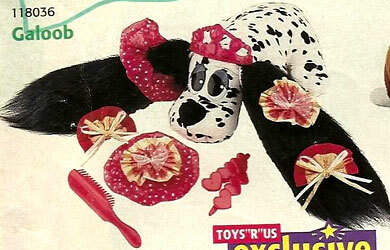 We're also introducing the Brush 'n Style Puppy, a pretty puppy you can style in lots of ways with a variety of beauty accessories." 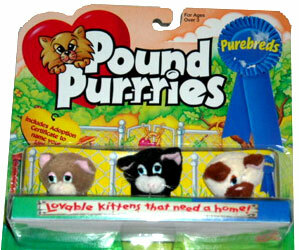 When the Animals and Jungle sets were introduced the puppies and kitties were upgraded to "Purebreds". 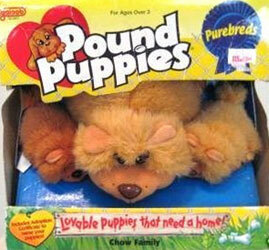 They were sold as families and mixed packs of baby puppies. 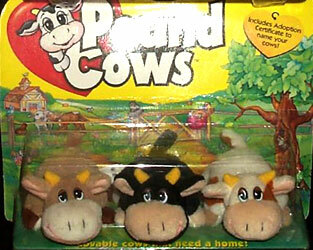 There were also special edition packs produced. 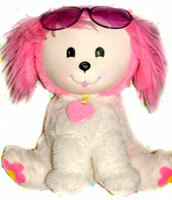 "She's a cute little puppy who wants to be a glamorous fashion pup! 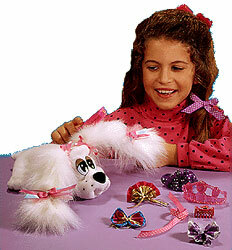 You can use her special brush to create wonderful looks for her. 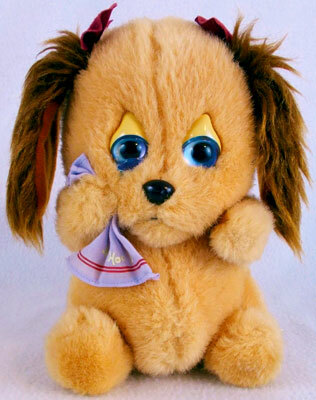 She comes with barrettes, bows, ribbons and a tiara so you can style her ears and fur to make her look like a gorgeous show pup! 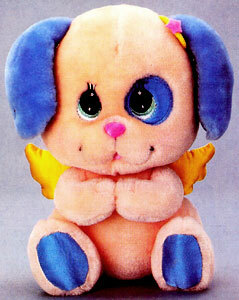 An Adoption Certificate is included so you can name your very special pretty puppy." 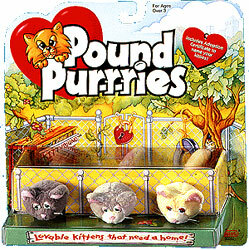 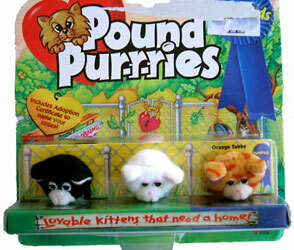 Pound Pur-r-ries were sold with three or five kittens. 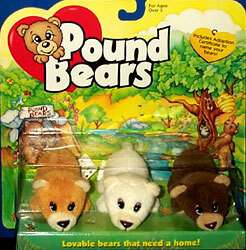 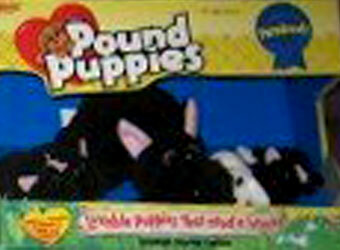 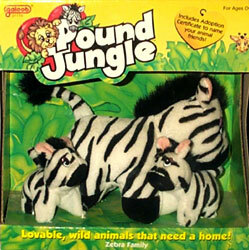 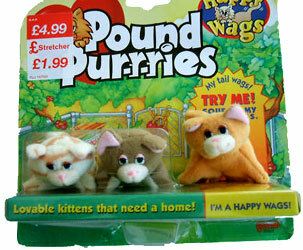 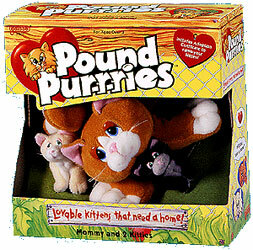 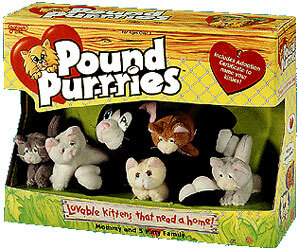 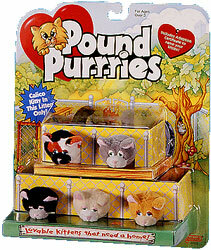 When the Pound Animals and Pound Jungle sets were introduced the puppies and kitties were upgraded to "Purebreds". 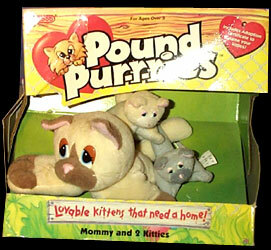 They were sold as families and mixed packs of baby kittens. 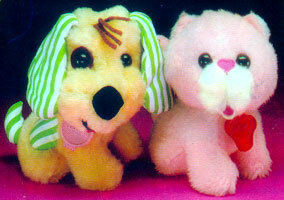 There were also a few other puppies and kitties. 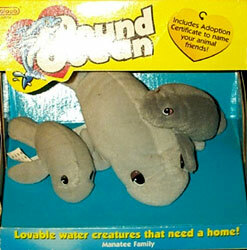 "With remote-control leach. 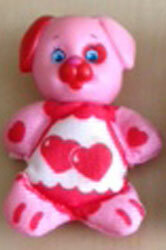 Mummy walks and carries her baby, too!" 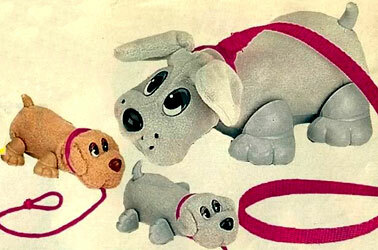 "When you use the leash to walk mummy, her two puppies follow." 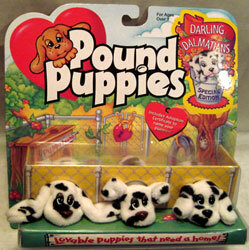 "Precious puppies dressed in fun fashions! 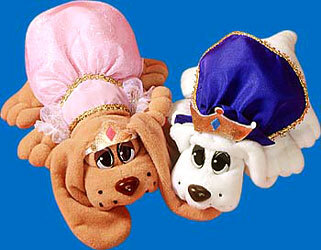 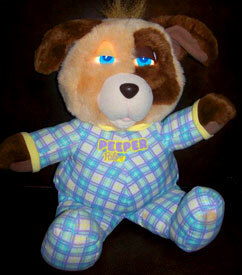 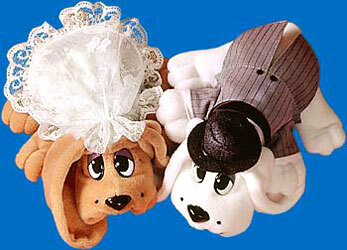 Your puppy pals are dressed in cute pjs, wonderful wedding outfits or royal prince and princess fashions." 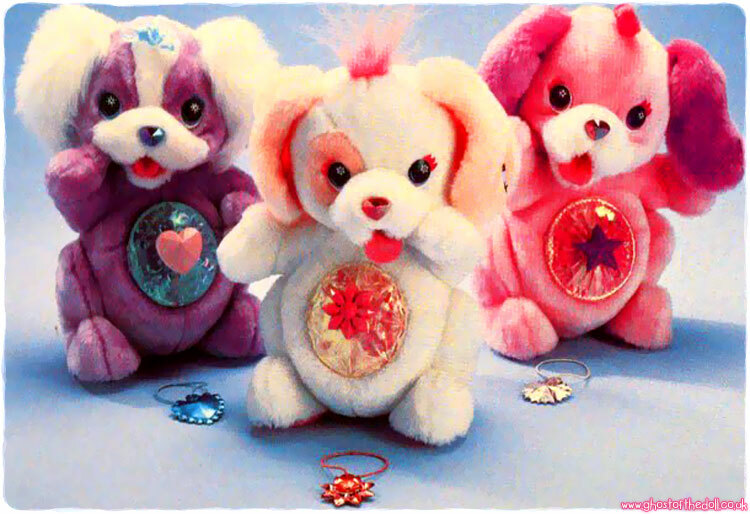 There were three sets of fashion pups produced. 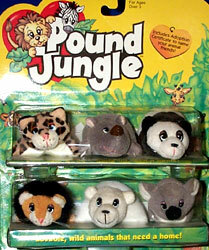 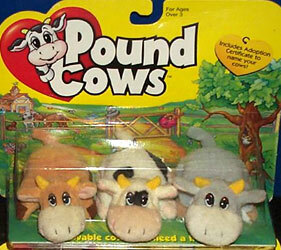 "Look out for all their Pound animal friends! 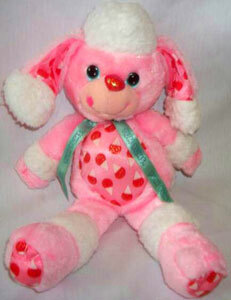 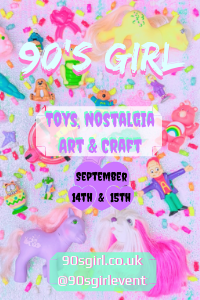 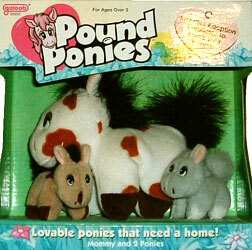 There are ponies, piggies, bunnies, bears and oh-so many more!" 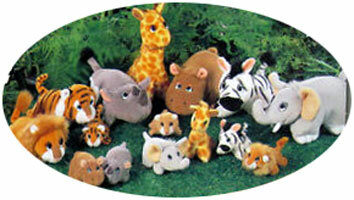 The animals were sold in sets of mother and babies or as same animal type baby sets. 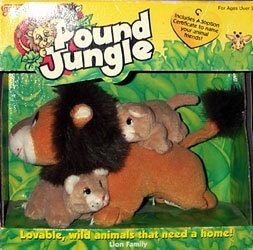 "Loveable wild animals that need a home!" 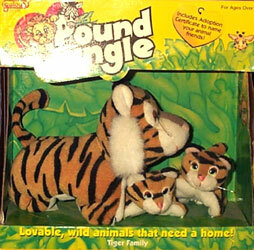 The jungle animals were sold in family sets or as mixed baby sets. 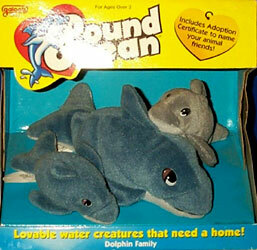 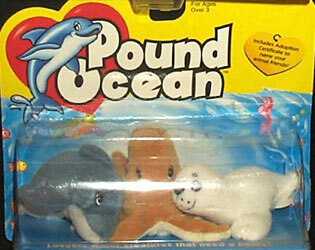 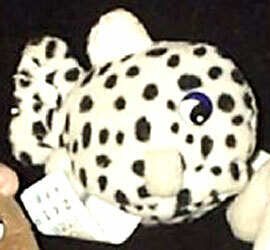 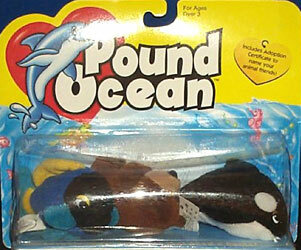 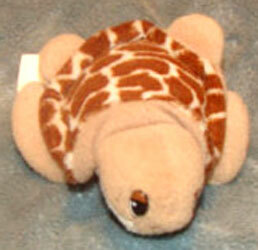 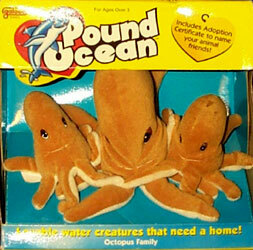 There were several sea creatures produced, sold in families and as mixed three baby packs too. 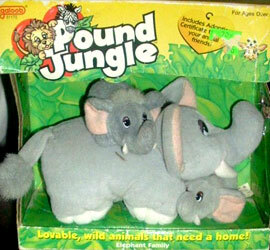 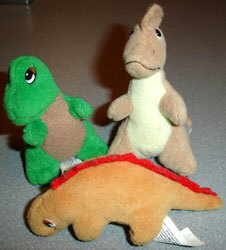 I don't know anything about the Pound Dinos. 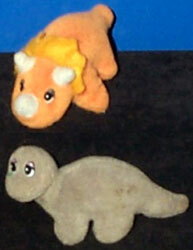 I have found five so far (presumably there were at least six). 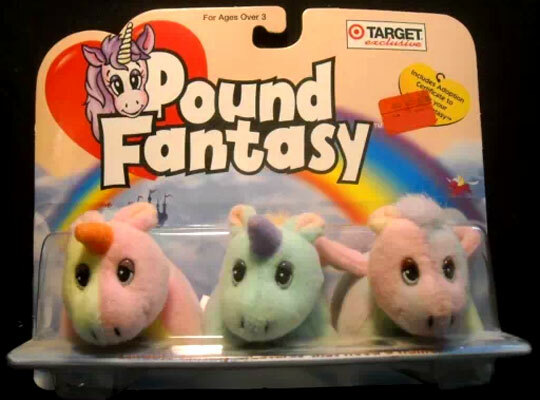 Pound Fantasy were a set of three plush toys (mixed pegasus and unicorns) sold exclusively in Target in the US, dated 1998. 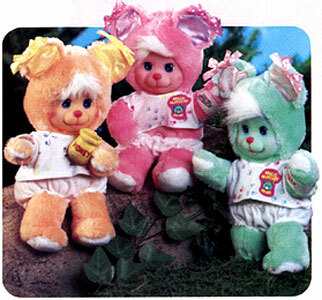 They had multi-coloured pastle bodies.